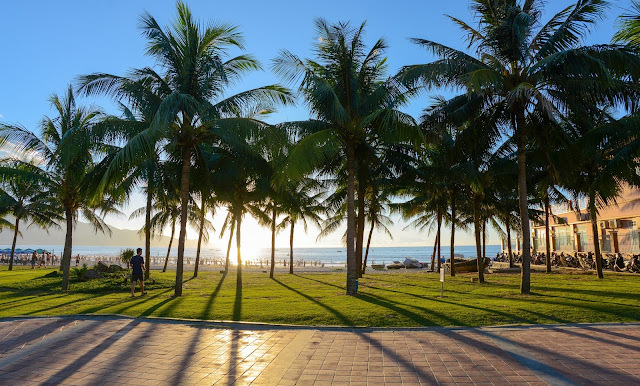 After a day touring the tourist spots in Da Nang, you want to drop yourself in the peaceful moments before the sunset on the slopes or wake up to the light dawn call on the beach in green? 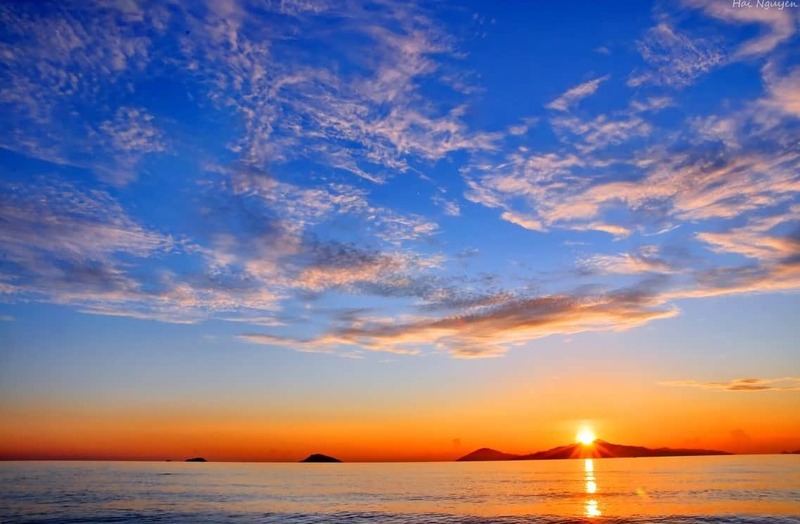 If you have come to Da Nang, do not miss the most beautiful moments of this city every dawn or every romantic sunset. Here are the ideal places to have yourself a romantic dream in this beautiful seaside city. In the summer, many people come here from the early morning to exercise, play games or jog, breathe fresh air, cool. And more particularly, the sunrise on the sea as the space makes it attractive, fascinated people. People come here in the morning to watch the sea and do exercise. Located on the way to Hai Van pass, Van village is an abandoned village with charming scenery, where many young people, especially those who love to explore, camping overnight. Overnight camping here you will enjoy beautiful sunrise, peaceful. Being one of the six most beautiful beaches in the world by Forbes magazine, My Khe Beach is always a destination not to be missed in Da Nang. 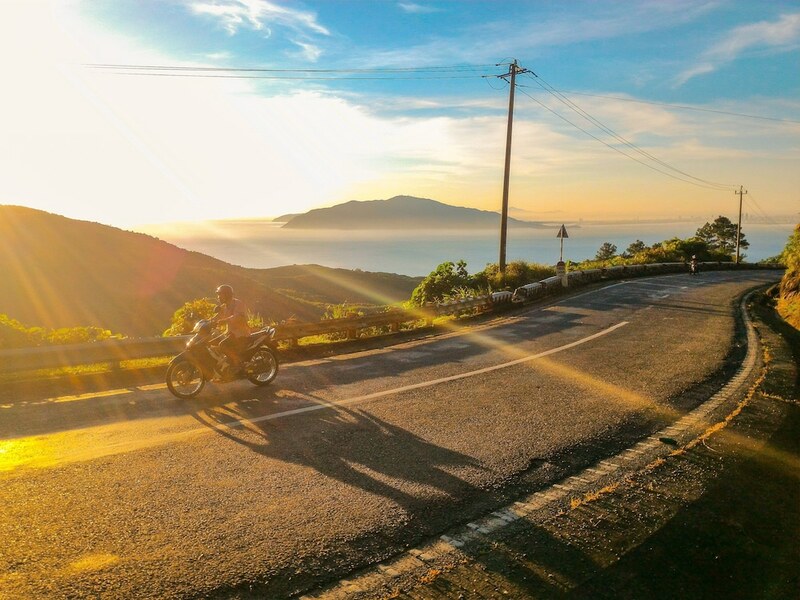 Try a drive to Hai Van pass early in the morning to feel the cool, fresh air here and admire the beautiful sunrise between majestic mountains. To see this beautiful peninsula in early dawn, you stand at the monkey road, from the Linh Ung Gate to the Intercontinental resort, sitting on the rocks along the road and enjoy the beautiful waterfront. This love only. If you want to see the sunrise in a wild countryside, separate from the busy city, Ho Trung Trung is the ideal place for you. Come here in the dry season from October to March to see the sunrise on the green prairie.